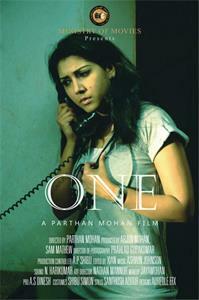 One is an upcoming malayalam movie which is the directorial debut of Parthan Mohan. Produced by Arjun Mohan under the production house Ministry of Movies, One will feature Jagadish, Vishnu Nandan, Devika Nambiar, Vinod Menon, Soumya Sadanandan and Rosin Jolly in lead roles. Inspired from a supernatural event that happened in Scotland in 1994, it is a journey of six friends to a strange place where a series of incidents waiting to get unveiled. 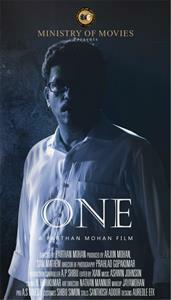 After the final touch, 'One' will be released in May 2013. It is nice to see young film makers coming forward with interesting and innovative theme which can truly experiment the brains of malayalee audience. With 200 plus movie releases projected in malayalam this current year, film creators who carries novel thoughts are really proud for the industry. Breaking all conventional thoughts, Parthan Mohan is ready with his debut project teamed with youngsters to mesmerize the audience. Inspired from a supernatural event that happened in Scotland in 1994, it is a journey of six friends to a strange place where a series of incidents waiting to get unveiled. From the words of director Parthan, the story is a fictional reconstruction of the spooky supernatural event seen by his brother Arjun Mohan who has penned down the story. 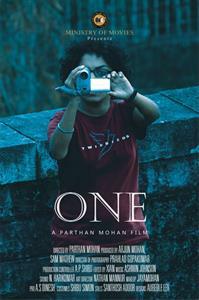 'ONE' will be a new experience for the movie lovers who wish to watch something which stand different from normal film making. While walking through a strange place, the friends come across a supernatural entity hanging out to set free evil upon the wretched victims. Starting from an evening of a Friday, the happening will continue till morning of the successive Sunday. As it is based on a real time incident, Parthan has tried to give a realistic touch to its making. Visualized in an international styling of horror, mundane mixes are added while the mystical character would evoke awe gruesomeness in the minds of the audience. Aswin Johnson had moved his magical hands for the background tunes and music which can keep the viewers intact. With location set at Manimalakkunnu Palace in Pothencode near Trivandrum the entire movie was shot in a span of 7 days making it a runtime of 103 minutes after cuts. Produced by Arjun Mohan under the production house Ministry of Movies, One will feature Jagadish, Vishnu Nandan, Devika Nambiar, Vinod Menon, Soumya Sadanandan and Rosin Jolly in lead roles. Prahlad Gopakumar stayed behind the camera as the Cinematographer while the editing of the movie was safe in the hands of Xian. With Nathan Mannur serving as the art director, the stills were taken by Santhosh Adoor and the poster designs set by Auredle EFX. An interesting fact about the movie will be the absence of readymade dialogues. With the scenes been briefed to the actors, they are asked to speak without any preparedness. With this procedure, very realistic styling of dialogue delivery will be carried out throughout the movie. Adding a feather on to the cap of the makers, it would be the first movie made in Indian cinema with the actors bearing their original names and real life mannerisms. 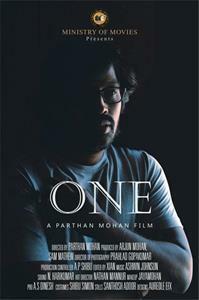 As the team of the movie ONE has taken pledge to go for Green, there will not be any posters printed for the movie while the entire promotion will be done through Digital, New Media and other traditional media platforms. The team is moving forward with online publicity using social media platform, TV channels, FM radio channels, magazines and Newspapers. 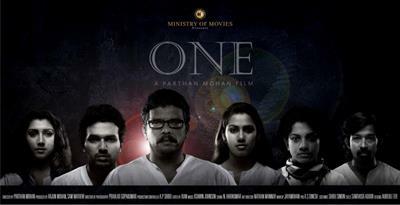 Having an active facebook page @ www.facebook.com/OneTheCinema, the team is gearing up to release the movie in May 2013. So get ready for an extra ordinary visual experience.